The ability to write a story is a gift as is the ability to express any thought in poetical form. And when these two skills combine, magic is bound to happen, which is exactly what Navya Jain has created with her book Arcane Rhapsodies. This trained management professional left her well paying job to pursue her passion of creative writing and poetry, which in itself tells a lot about the author. This was the first time I would be reading a book that contained several stories written in poetic form. The cover of the book generated a mystic feel that further enhanced my curiosity about what I would find inside. But just after going through the first few pages, I realized that I was holding an amazing scripture that spun a beautiful tale in a unique manner. 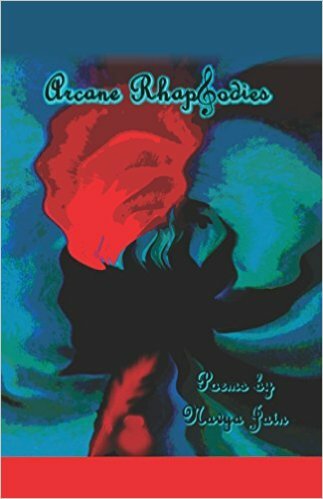 Arcane Rhapsodies revolves around the famous playwright Henry, who while seeking inspiration for his poetry, travels back and forth in time and weaves together some well known and some anonymous myths, folklore and legends. Henry explores the dark and the light, the seen and unseen and even the imaginary and realistic aspects of life, and you as a reader follow him through this amazingly thrilling journey. The various stories that form a part of the book are in fact that different experiences Henry has through this journey and from which he gets the inspiration for his verses. Navya has proved her writing caliber beyond any shred of doubt with Arcane Rhapsodies. Her use of a refined and easy to understand language enables even the most common reader to connect with the various stories in some manner. At the same time she has been able to maintain the smooth flow and graceful charm of poetic expression. What really impressed me the most is that the writer has taken the trouble of providing a summary of each story at the end making it possible for readers to understand their origin and context. Overall, I totally enjoyed the innovative manner in which Navya Jain has presented some of the most amazing folktales from around the world and I wish her all the best for her future works.